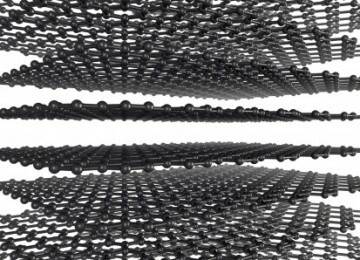 Why Graphene material of the future ?!! Many devices, home appliances and gadgets have the sensor chips to know many variables like heat, distance and more . in every device have rechargeable battery have heat sensor to avoid height temperature that can caused to damage or explosion! and turn such as refrigerators and washing machines into smart devices do so by detecting changes in electrical resistance brought on by the presence of magnetic field also known as magnetoresistance (MR). These sensor chips sometimes referred to as MR sensors, have traditionally been manufacturing from silicon. 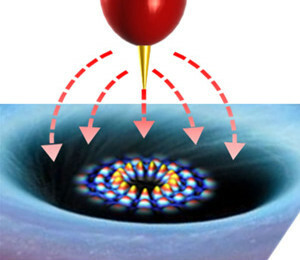 of graphene magnetoresistance sensor 200 times sensitive than silicon counterpart. The researchers team led by Assoc Prof Yang, who is also with the NUS Nanoscience and Nanotechnology Institute (NUSNNI) and the Centre for Advanced 2D Materials (CA2DM) at NUS Faculty of Science, may finally meet these requirements.This technological breakthrough hails opportunities for the development of smaller and cheaper sensors for various fields such as consumer electronics, information and communication technology, biotechnology and automotive. 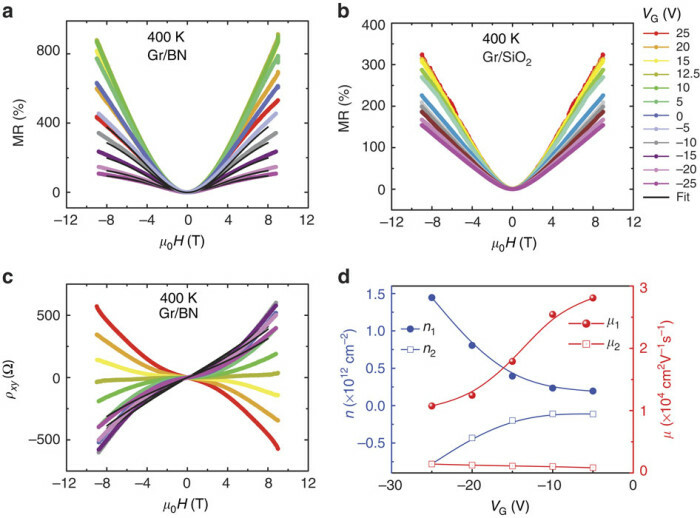 These electrons can thus respond to magnetic fields with greater sensitivity and the chip possesses high sensitivity to both high and low-intensity magnetic fields, and neither its tunability nor its resistance changes substantially in varying temperatures. Silicon sensor chips’ properties begin to change as their temperatures approach 127°C the maximum temperature at which most electronics operate—causing their sensitivity to wane. in the another side, the graphene-based sensors’ sensitivity actually improves as the temperature rises. As they reach 127 °C, their ability to sense resistance changes is as much as eight times greater than it is at room temperature, making it an ideal sensor suitable for environments of higher temperature. 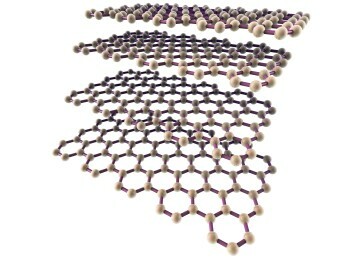 What this could mean, according to researchers the expensive temperature correction mechanisms that these sensors now need when they’re used in many applications can be eliminated.As far as tunability, the researchers discovered that they could alter the mobility of the graphene multilayers simply by tuning the voltage across the sensor, which enables the optimization of the sensor’s properties. Meeting industry demand The magnetoresistance (MR) sensor industry, estimated to be worth US$1.8 billion in 2014, is expected to grow to US$2.9 billion by the year 2020. Graphene magnetoresistance sensors hold immense promise over existing sensors due to their stable performance over temperature variation, eliminating the necessity for expensive wafers or temperature correction circuitry and stability in height temperature. Production cost for graphene is also much lower than silicon and indium antimonide. Potential applications for the new sensor include the biotechnology sensors and automotive industry, where sensors in cars, located in devices like flow meters, position sensors, and interlocks, are currently made of silicon or indium antimonide. 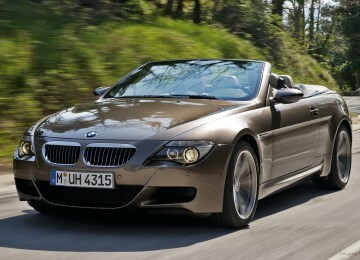 For instance, when there is a change in temperature due to the car’s air-conditioner or heat from the sun, properties of the conventional sensors in the car change as well. To counter this, a temperature correction mechanism is required, incurring additional production cost. However, with the team’s new hybrid sensor, the need for costly wafers to production the sensors, and additional temperature correction circuitries can be eliminated. “Our sensor is perfectly poised to pose a serious challenge in the magnetoresistance market by filling the performance gaps of existing sensors, and finding applications as thermal switches, hard drives and magnetic field sensors. Researcheres and many manufacuters predict that graphene magnetoresistance sensor is perfectly poised to pose a serious challenge in the magnetoresistance market by filling the performance gaps of existing sensors, and finding applications as thermal switches, hard drives and magnetic field sensors and graphene sensor technology can even be applied to flexible applications.